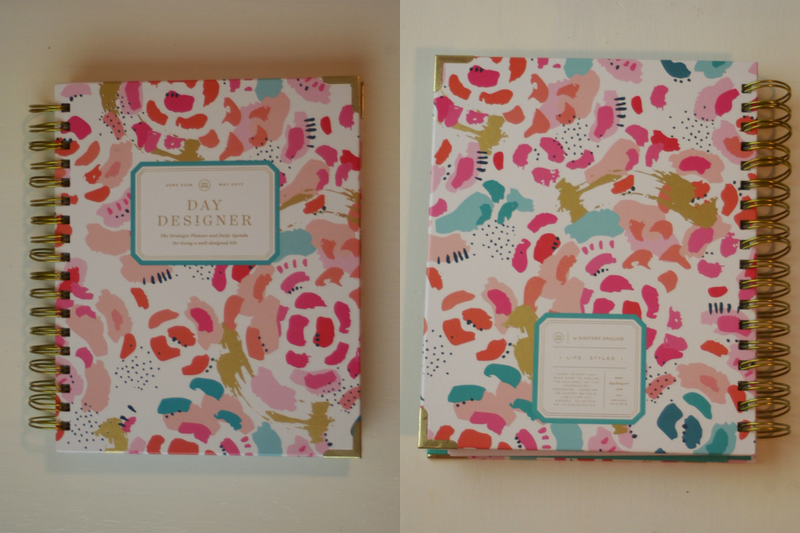 This year I decided to splurge and buy the Day Designer Planner. I have been using it for almost a month, and I am happy to say that it is the perfect planner for me. If you are not familiar with the day designer planner; it is a daily planner so each day has its own page. I always loved planning my day out by hour. I would often times do it in the calendar on my phone because I feel it keeps me on task and productive. 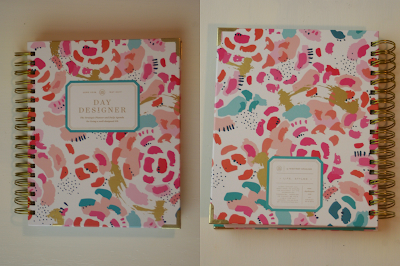 The decision to spend $60+ on a planner is a big one at least for me. As a result, I decided that I would share how the agenda is set up and how I use it so that you guys can decide if it would work for you. The one I got is the Midyear Flagship Edition in Painterly Floral. Sadly this pattern is no longer available, but all the patterns are super cute and I love this one and this one. 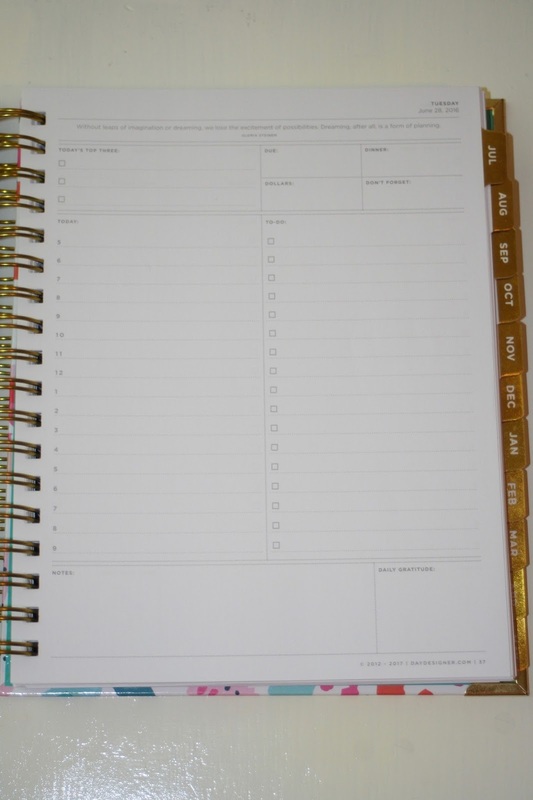 The Day Designer Planner is super well made with a sturdy back and front cover as well as a gold coil. I also love the gold accents on the corners of the planner. I'm confident that it will withstand normal wear and tear. One of the things I didn't know about when I ordered my planner is that it comes with goal planning worksheets in the beginning. These are great to help you break down the most important goals in your life and how you plan to achieve them. I think it is a really nice touch! There is also a full year calendar and several note pages in the beginning. Each month has a two-page monthly calendar. I love using this to write my babysitting schedule as it gives me a good overview of how much I am working. The boxes are good size, so you can write a good amount of stuff in each box. 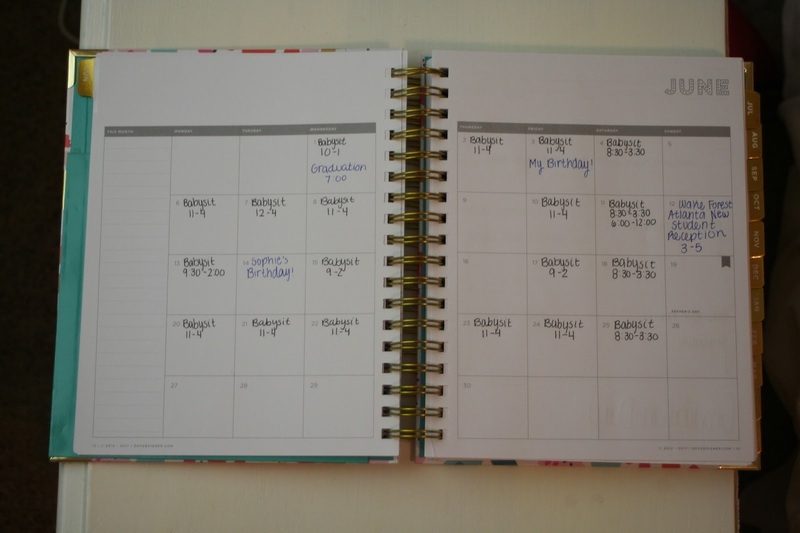 Another thing to note is that the inside of the planner is fairly plain, I like it because it is very clean looking. You could also decorate it if that is something that interests you. This is a blank daily page. Each day has its own page except the weekend. 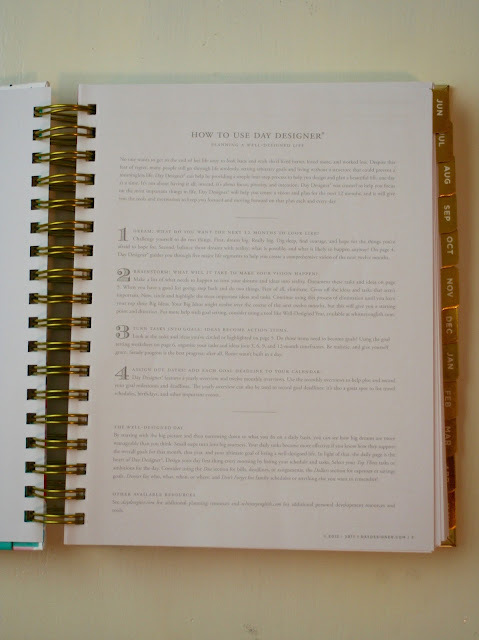 The main things on the page are an hour by hour from 5 AM to 9 PM and a to-do checklist. On the top, there is a quote, which I love for some daily inspiration! Underneath the quote is a today's top three checklist which allows you to prioritize the most important things of the day as well four small boxes labeled due, dinner, don't forget, and dollars. These are good for short little reminders. At the bottom, there is a notes box and a daily gratitude box for recapping your day! This is an example of one of my days I planned. As you can see I write a good amount of things down, and there still is plenty of room. I have never run out of room in the checklist. I usually write down my hourly plan and checklist the night before. Then in the morning I prioritize my top 3 and any other little reminders at the top. Then, at night before I go to bed I write down any notes from the day and something I am thankful for. 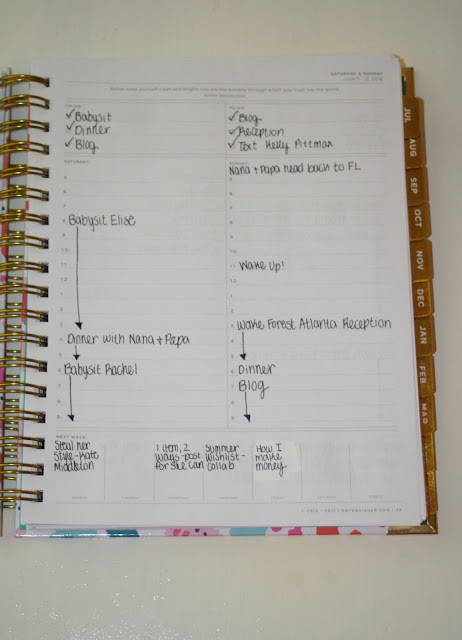 This is an example of a weekend page. It is a condensed version of what is on the full page. 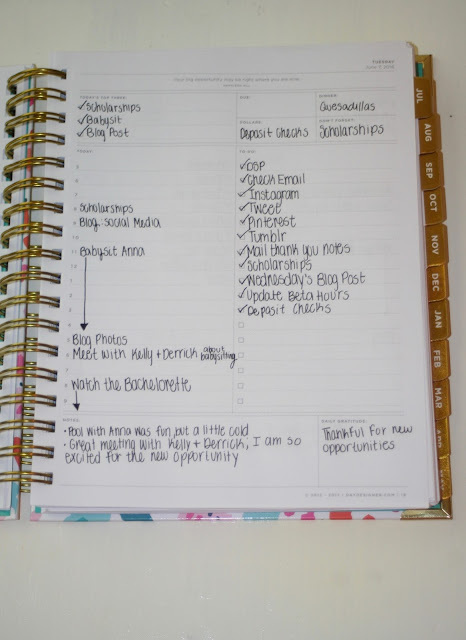 It has a mini to-do list( 3 things) as well as the typical 5-9 hourly planner. Then, at the bottom it has a bar with each day of the upcoming week so you can write notes on things coming up for the next week. I like to use it as a blog planner. I don't find myself writing much on the weekend so I don't really mind the limited space. 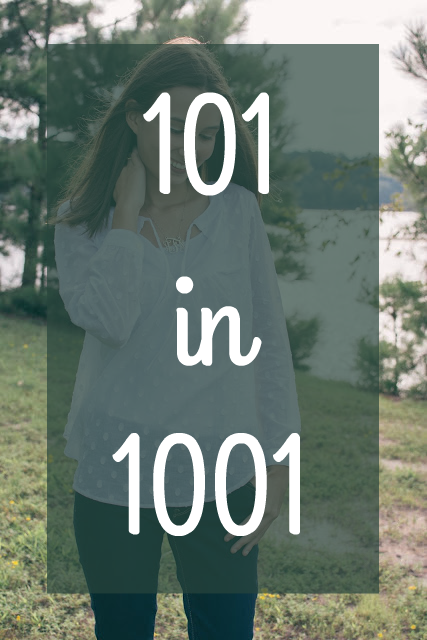 I hope this post was helpful! If you have any more questions at all about the Day Designer Planner please let me know I would be happy to answer them. Have you tried the daily planner? If so does it work for you? Let me know in the comments below! I love the print you got! Thanks girl! It is super cute! 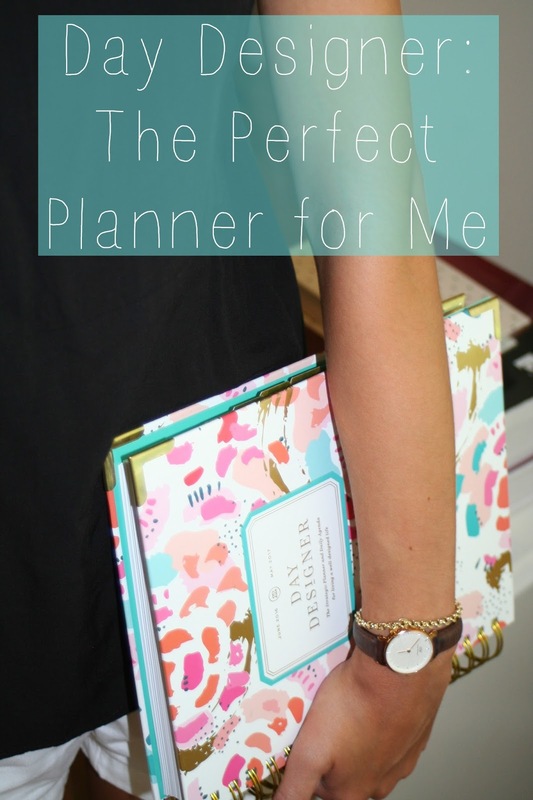 I just ordered my Day Designer planner! I have been looking for one with sections by month, week and day for two years. I am so excited for it to come in the mail. If you hadn't shared yours, I may not have found them. So thank you!!! Yay! So glad this was helpful!